Adam Warlock, one of the Marvel Comics superheroes who are not that well known to the public at large right now, will probably be a household word soon like just about every other Marvel character who gets thrown at the big and small screens. PART ONE – ENTER: THE MAGUS – Includes my quick recap of Adam Warlock’s fictional history from 1966 to 1975, including his encounters with the Fantastic Four, Thor and the Incredible Hulk. PART TWO: DEATH SHIP – Adam Warlock gains a new ally in Pip the Troll when he is taken captive by the Church’s starship The Great Divide. PART THREE: THE TRIAL OF ADAM WARLOCK – *** FIRST EVER APPEARANCE OF GAMORA *** Overcoming even more Black Knights of the Church and another battle with the Soul Gem, Warlock at last confronts the Matriarch, the worldly leader of the Universal Church of Truth. PART FOUR: ONE THOUSAND CLOWNS – Pip the Troll and Gamora, the most dangerous woman in the universe, try to free Adam Warlock from the Pit of the Sacred Palace. PART FIVE: THE INFINITY EFFECT – Face to face with the real form of the Magus, Adam Warlock learns the horrific fate that lies ahead for him as he will transform into the Church’s god while being tortured over a period of 5,000 years. PART SIX: THE REDEMPTION PRINCIPLE – While evading the Black Knights of the Church Adam, Gamora and Pip encounter the dying Matriarch. PART SEVEN: HOW STRANGE MY DESTINY – The story’s final mind-boggling developments unfold as Adam Warlock struggles to fight his fate. In the previous installment I took a look at the Melungeon origin myth for the Fool Killer and the way it bore some resemblance to a figure from Portuguese folk tales that the so-called “Hill Portughee” brought with them. That tale also dealt with the creation of the club/ walking stick/ cudgel that the Fool Killer carried with him in many of his incarnations. I finished off with the legends of the Fool Killer slaying “fools” who entered the East Tennessee Hills intent on mining or stealing Melungeon gold. MELUNGEON VARIATION TWO: We’ll pick up this time with more of the oral traditions which supposedly started in the late 1830s or 1840s but weren’t set down in writing until the 1880s and later so there’s no way of verifying when they really began. The area covered was still Eastern Tennessee, Kentucky, Virginia and North Carolina. The Fool Killer roamed those regions, wielding his iron club/ walking stick/ cudgel topped with a skull crafted from Melungeon gold. By the time most people are out of their 20s they shrug off the immature and insecure preoccupation with how “intellectual” they supposedly are. American leftists are perpetual children so they never outgrow that pompous, boorish pose. Just as American Conservatives have hopelessly politicized the word “patriot” to the point where it’s meaningless, American Liberals have hopelessly politicized the word “intellectual” to the point where it is meaningless, too. Conservatives will describe someone as a “patriot” IF that person mindlessly agrees with all their political views. Liberals will describe someone as an “intellectual” IF that person mindlessly agrees with all their political views. 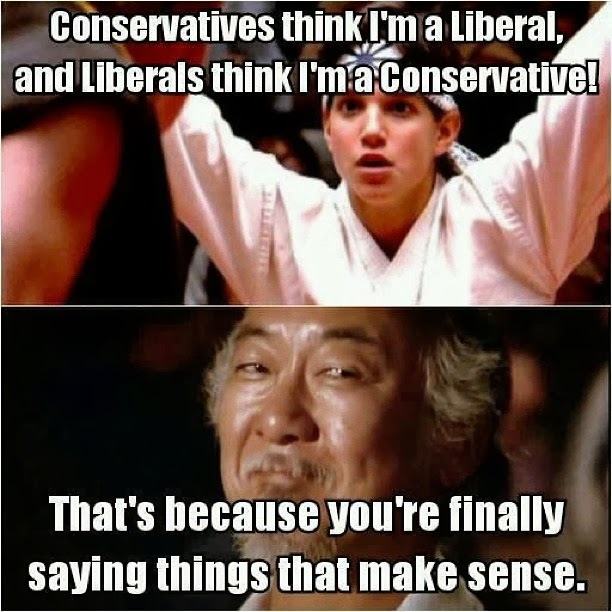 In reality neither American Conservatives nor American Liberals are in any way fit to bestow labels like patriot and intellectual on anyone NOR are they fit to strip away such labels. Liberals are hilarious the way they pretend that even semi-literate movie stars and singers are “intellectual” as long as they unquestioningly spout Liberal dogma. American Liberals simultaneously pretend that even people who have multiple degrees are “dumb” if they hold opinions that the mindless conformists of liberalism disagree with. Take for instance George Clooney. He dropped out of college but because he zealously spouts nothing but liberal talking points the American Left considers him “intellectual”. On the other hand if he was a Hollywood celebrity who dropped out of college and who expressed opinions that American Liberals disagree with he would be mocked and ridiculed as “an uneducated white American”. American Liberals are such pretentious fools they even made fun of “the kind of college” that Sarah Palin graduated from. Even people like me who criticized Palin couldn’t help but laugh at that hypocrisy given how Liberals were conveniently forgetting how so many of the entertainers they revere as deep thinkers never went to college at all or even may have dropped out of high school (like Susan Sarandon). That is why length of education has never been a true indicator of intelligence anyway, but this attitude of Liberals perfectly illustrates their pompous snobbery and their tiresome status anxiety. Plenty of American Liberals are terrified that people might think they aren’t “intellectual” if they dare to be individuals rather than conform to the latest Liberal talking points. Another laughable quality about American Liberals and this aspect of their insecurity is the way they immerse themselves only in television shows, movies and news outlets that reinforce their prejudiced – and hilarious – notion that they are the country’s intelligentsia. ROUND THREE, DAY ONE: FIRST MATCH – ICONICA VS LA INDIANA. In this Match Iconica – Official Balladeer’s Blog Nickname: The Creators – rode against La Indiana – Official Balladeer’s Blog Nickname: The Indians. I often praise Polo for the way men and women can play on the same team. In this Match Maureen Brennan rode into action as part of Iconica’s foursome. The Creators put the ball between the Uprights 3 times in the First Chukker, compared to the 1 lone Goal mustered by the Indians. In the Second Chukker La Indiana outscored their opponents 2 Goals to 1 to pull within 4-3.